This article is part of our ongoing Business Travel 101 series for newcomers to the world of business travel, and was last updated January 2019. 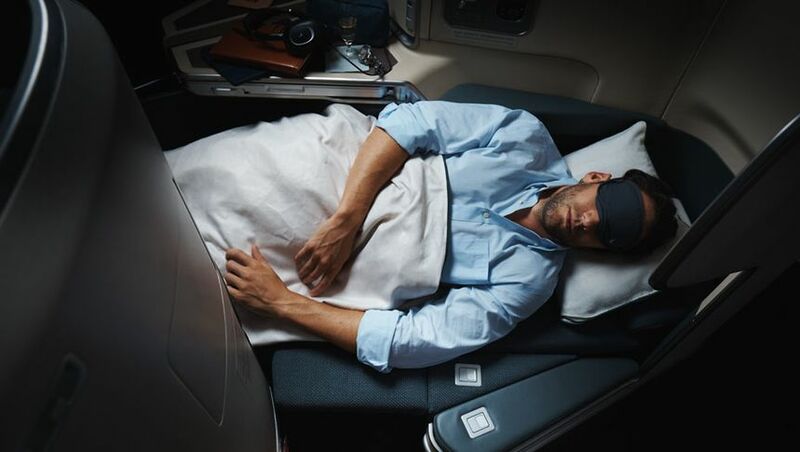 If you’re travelling with Cathay Pacific to Hong Kong and beyond in premium economy, a great use for your Asia Miles is a business class upgrade. 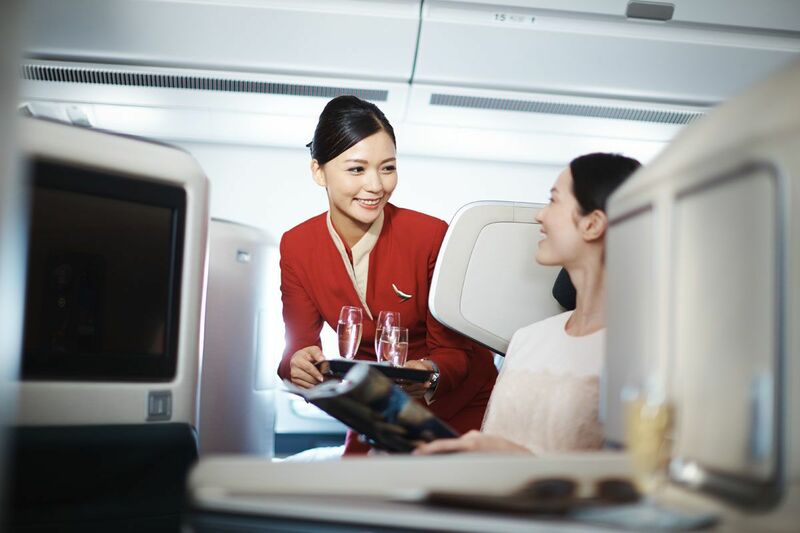 What's more, you can also use Asia Miles to upgrade to business class on Cathay's sister airline Cathay Dragon – particularly useful if connecting onwards from Hong Kong to destinations within China. We previously reported that the Asia Miles program underwent a major revamp in June 2018, with many changes including the removal of the ‘return trip discount’. Under the new rules, upgrades are charged on a one-way basis, thus making a return trip upgrade cost exactly the same as two one-way upgrades. You can now upgrade to business class between Sydney and Hong Kong for 18,000 miles, or you could upgrade your full Sydney-HK-Sydney trip for 36,000 miles. It's a similar scenario for journeys onwards from Hong Kong to the likes of London and Los Angeles, which can be upgraded one-way for 25,000 miles or 28,000 miles, respectively. Here’s what you need to know to turn those lingering Cathay Pacific Asia Miles into a business class seat on your next journey abroad. 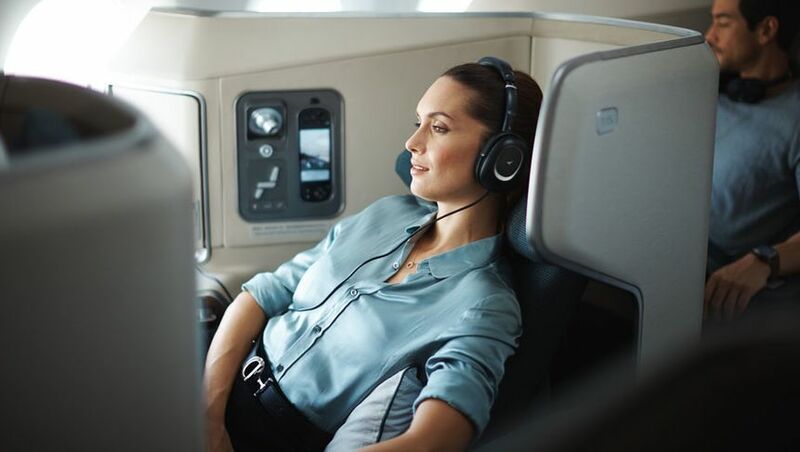 Upgrades on Cathay Pacific are all one-class – meaning economy passengers can move forward into premium economy, but only premium economy travellers can grab a seat in business class. There's an exception if you're on a Cathay Pacific flight where premium economy isn't offered, in which case you could indeed upgrade from economy straight to business class. Also note that the number of upgrades available on any given flight can be limited, and even then, not all fare types can be upgraded using miles. From premium economy, upgrades are permitted from the higher W- and R-class fares, but not the discounted E-class sale fares. If you're in a position to upgrade from economy to business class you'll need to be booked on a flexible Y, B, H, K, or M ticket: selecting anything else keeps you stuck down the back. Provided you're on an eligible ticket, upgrades can be confirmed instantly via the Asia Miles website on both Cathay Pacific and Cathay Dragon flights, wherever available. Should you be booking a ticket and intending to upgrade, we'd strongly advise contacting the Asia Miles team to check what's available before paying for your premium economy ticket, as being flexible with your dates or schedule could help secure a coveted upgrade. Here are the current rates for upgrades, listed per one-way sector. Making a last-minute trip somewhere and didn't have a chance to upgrade online? No dramas: you can use Asia Miles to upgrade at the airport, too. Available on all Cathay Pacific flights and Cathay Dragon too, you simply present your membership card and your itinerary to the check-in staff. If a last-minute upgrade is available on your flight, the seat is yours! Sit back and relax... you're flying in business class now! Airport upgrades are only available on your next onward flight – so if you’re travelling from Sydney to London via Hong Kong, you can only upgrade the Sydney-Hong Kong flight while on the ground in Australia. These upgrades are also charged at the same ‘one-way’ rate as online. As with most airlines, upgrading from one class to another means you'll earn frequent flyer points and status credits as per your original premium economy (or economy) fare, rather than at the higher business class rates enjoyed by full-fare-paying travellers. You also won't be able to upgrade when travelling on a ticket which was already booked using frequent flyer points, whether through Asia Miles, Qantas Frequent Flyer or any other program. Also note that if you upgrade at the airport, you probably won't have a guaranteed meal aboard. It's unlikely the crew would have nothing to offer you but expect to be served only after orders have been taken from the other passengers who confirmed their flight in advance. Finally, while Cathay Pacific once offered 'upgrade bids' to business class by using money rather than miles, this is no longer possible. Additional material by Brandon Loo. I disagree. An R class fare MEL-HKG return is $2200 to $2800 depending on season. A redemption upgrade to business return is 22,500 Asiamiles. Business class fares MEL-HKG return start at about $6600. A business class redemption is 80,000. Do the maths and it is clear you get about double the value per Asiamile by upgrading instead of redeeming outright. Also in my experience, the strike rate on redemption upgrades is excellent. I have been travelling this route for about 2 years and I have been upgraded about 90% of the time. I'm new to Cathay Pacific and I find the Asia Miles program pretty much a scam. I transferred 400,000 miles from my Starwood account to Asia Miles so I could reserve first class tickets on points. Byt even though the first class cabin in completely empty on the days I wanted to book, I'm on a "waitlist". I called Cathy Pacific to see what I could do. The reservation agent told me I'd have better luck booking a business class ticket and then upgrading. So I paid $10,500 for two busines class tickets and asked to use 205,000 points I transferred to Asia miles to upgrade the tickets. Again I'm on a "waitlist", even though first class is completely empty. What the point of miles if you can't use them? Absurd. yes they are notorious for that I'm a Gold Asia Miles member and I've been denied upgrade even there were empty seats it's infuriating ...and they are more expensive then Qantas!! I've flown with them for nearly 20 yrs and now I'm walking away!! anyway they seem to be going down the gurgeller ...it's Karma !! when they treat loyal customers that way as I've heard that from other travellers being denied seats when there's empty ones as well !! Anyone knows what fare bracket award or RTW premium economy is booked in CX? If they book in W/R then you might be in luck. In my experience, CX seem to have tightened up their upgrades over the past year or two. I generally book about 2-3 months out and at that point most flights are on waitlist for an upgrade. I generally only get the upgrade confirmed ahead of my flight if the J cabin is half full. If there are 5 or 6 seats left, no dice. However, upgrades at the airport are a different story. I generally get one if there are any J seats left at all, although often they won't confirm until an hour or so before departure. It helps a lot to be MPO Gold though - they give preference to elite MPOs. I have been a MPC member for over 20 years and supported the airline which has been reciprocated with excellent redemptions via Asiamiles however that all changed in June 2018 . Award seats are extremely scarce and even at elite level I have found it impossible to secure redemption seats either outright or as an upgrade regarless of cabin loads even at half capacity . On Many flights I have been waitlisted for a PE to J upgrade and been denied only to discover on board the J cabin is less than half full . I have approached the MPC for comment ,they avoided an explanation..I have managed to secure an award seat on the rare occasion but only two days prior to departure as it seems the majority of award seats remain on waitlist until just before departure. In my experience Asiamiles has been downgraded considerably and for Australian based members the redemption rates are considerably higher e.g. J class Syd Hkg return now 90,000 points up 10,000! As a result CX is no longer my preferred airline. Unfortunately Loyalty is no longer reciprocal. In recent times I have had very good success with premium economy > business class redemption upgrades particularly at check in however business class loads can be heavy sometimes. It is common for the waitlist not to clear and only to get the upgrade at check-in or just prior boarding. I think CX treats its MPC elites very well indeed relative to the competition and I have no complaints at all. I'm going to be flying PE from BCN -> SYD in September of next year (one way). 1. 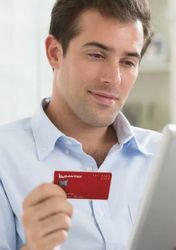 What credit card has the best sign up deal. 2. Given its instant upgrade, what are my chances of getting an upgrade around jan - 9 months out? Comment on "Cathay Pacific business class upgrade guide"